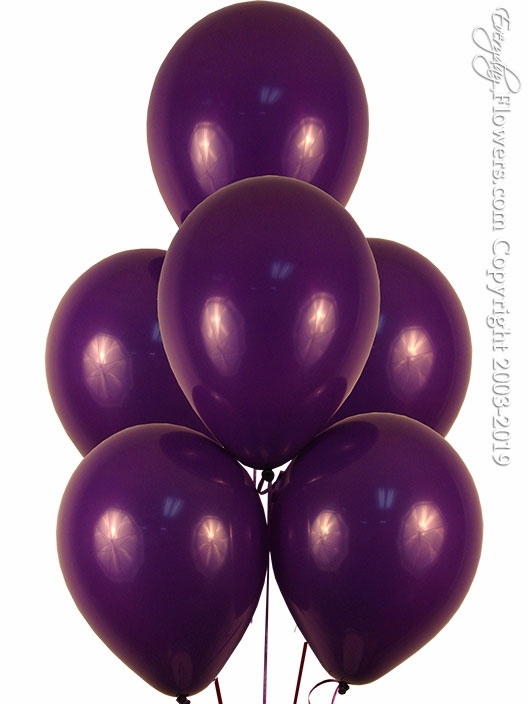 Order a half dozen purple violet balloons using six dark purple colored balloons by Qualatex filled with helium and sealed with Hi-Float and attached with matching ribbon and secured with a matching balloon weight. You can also order these balloon bouquets by the dozen for $23.99. Available for same day delivery by Everyday Flowers located in Orange County California.